There are several foods that can reduce or even eliminate aging. Instead of spending money on anti-aging creams and supplements, eat these foods. They will not only improve your skin's health but also strengthen your bones, improve your vision, reduce aging signs among others. 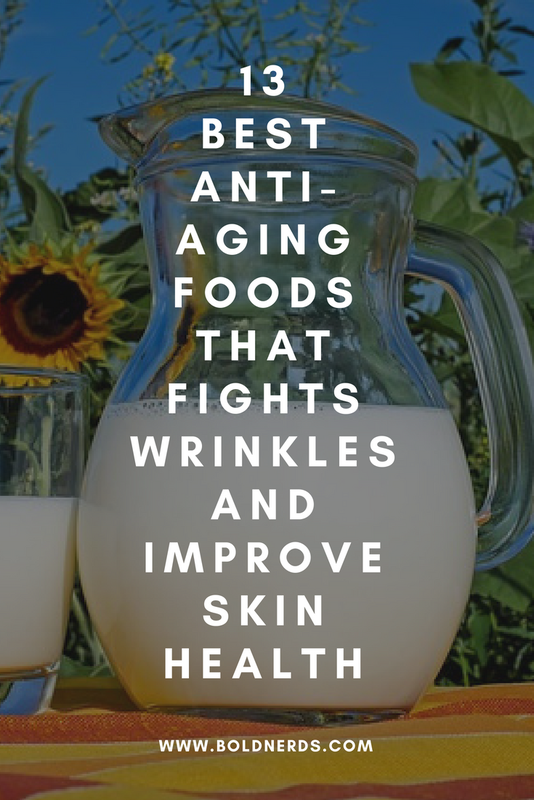 We have outlined some 13 top foods that are helpful tips for fighting wrinkles and improving upon the health of your skin. 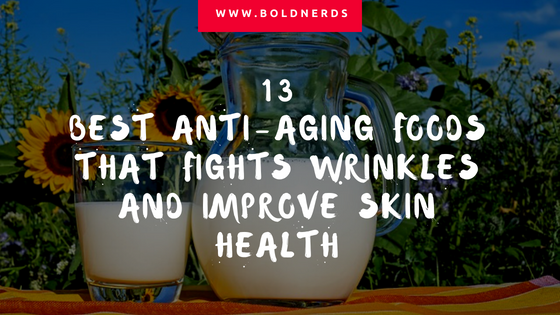 13 Top Anti-aging Foods That Fights Wrinkles and Other Aging Signs. Beets contain lutein which is effective in fighting wrinkles. You can check out this list for more benefits of beetroot. The antioxidants in beetroot also protect the skin by neutralizing free radicals. Green tea improves brain functioning and the health of your heart which is a more likely sign of aging. It also boosts metabolism and helps in fighting cancer. Nuts have the ability to slow aging as shown in a recent study. Tiger nuts, for example, have been used to aid in solving many health complications and have also been found to improve sexual health. Nuts also help boost the flow of blood. The benefits of cinnamon are so many but here are a few to note. Cinnamon has an anti-inflammatory property, controls blood sugar, prevent heart attack and diabetes. It also promotes digestive health and is also a pain reliever. Vitamin C is good for your skin and spinach is a good source of vitamin C. Irons and vitamin A in spinach keeps skin tissues healthy. Spinach is also rich in antioxidants which promote youthful skin. Walnuts improve on both male and female health conditions like prostate and breast cancer. Walnuts also improve on the health of your skin and also help in improving many heart conditions. Everyone likes chocolate because of its good taste. Do you know about the benefits? Don't just eat chocolates, eat dark chocolates as its a skin helper. Dark chocolates maintain skin elasticity, prevent wrinkles and well, it is very healthy too. Cucumber replenishes the skin and helps reduce dark circles. It also fights diabetes and wrinkles and helps control blood sugar. Again, it contains 96% water which helps to keep the skin hydrated. Garlic has been linked with many health benefits, like prevention of heart attack, controlling of blood pressure and for easy blood flow. Garlic has an anti-aging property which protects the skin from wrinkling. Avocados are rich in nutrients. They're one of the best cancer-fighting foods. Avocados contain fatty acids, antioxidants, and phytochemicals that help to hinder the negative effects of aging. It also promotes a healthy heart. protects eyes from macular degeneration and cataracts, lowers risk of heart disease and stroke. Have you ever had a guess why most lotions and creams are made from carrot extracts? Well, carrot helps protect your skin from aging. Just like cinnamon, cherries also have an anti-inflammatory property which improves the overall health of your skin. Not just for cooking delicious meals or improving upon hair length and health. Coconut oil is an antibacterial, low in fat and helps reduce cholesterol which will improve the health of your heart. It is also good for the skin and prevents aging. Need more of this? Subscribe below for the latest updates and more. We don't spam!